Adding accent furniture to the bedroom is a good idea especially if you have more space in it and if you think you would need to add one. Ottomans are pretty accent furniture because they have stunning designs and prints which lend sophistication to a space. For the bedroom, it would be good as alternate seating. It will even look perfect as a vanity seat. What’s nice about ottomans is that they can also be used as side tables too and they look great as added decors in your bedroom. 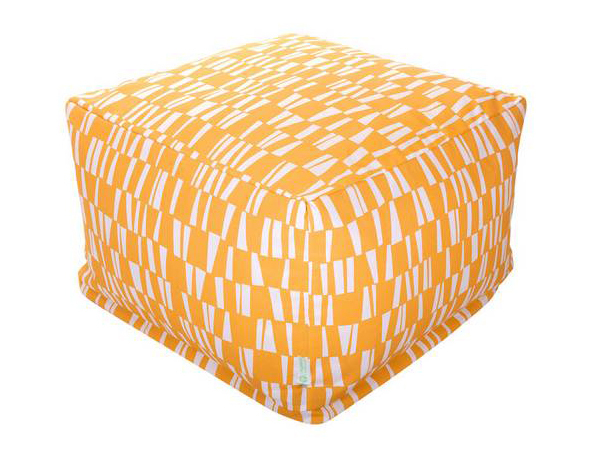 If a modern bedroom is your style or you are into having a geometric themed bedroom, then the cube ottomans that we have for you today is just perfect for that since we collated geometric cube ottomans. They vary from chevron prints to squar-ish or circular designs. 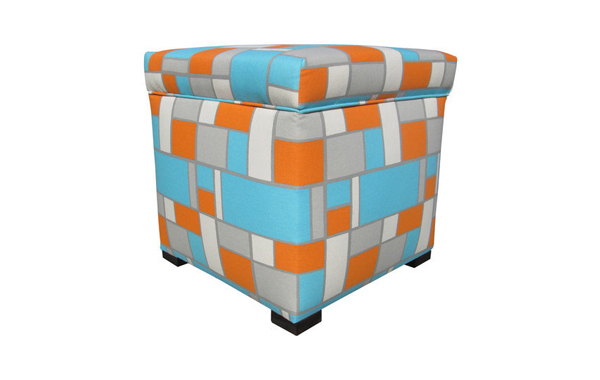 It is fun to play with shapes and lines even on this cute accent furniture. An ottoman brings versatile style to your favorite bedroom setting. 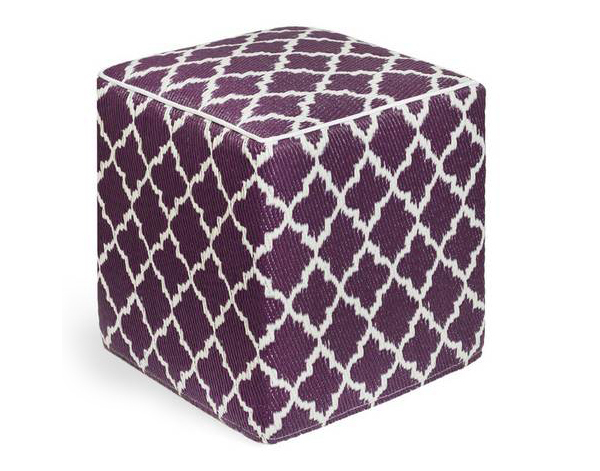 Now, take a look at these gorgeous geometric cube ottomans to inspire you. 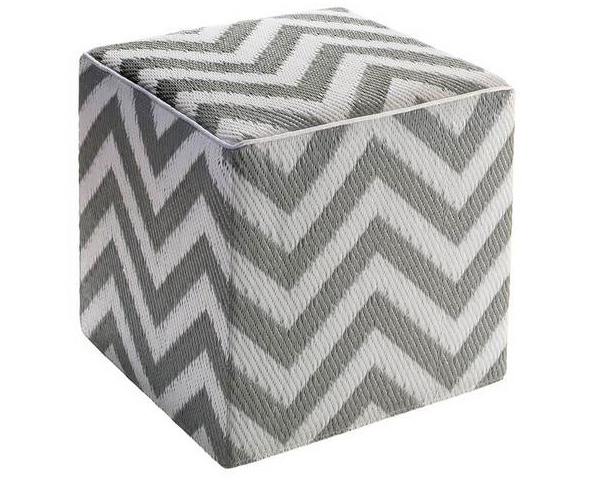 Chevron lovers out there will be pleased with this saucy chevron cube that is handmade from recycled polypropylene and filled with polystyrene, for long-lasting comfort and color retention. 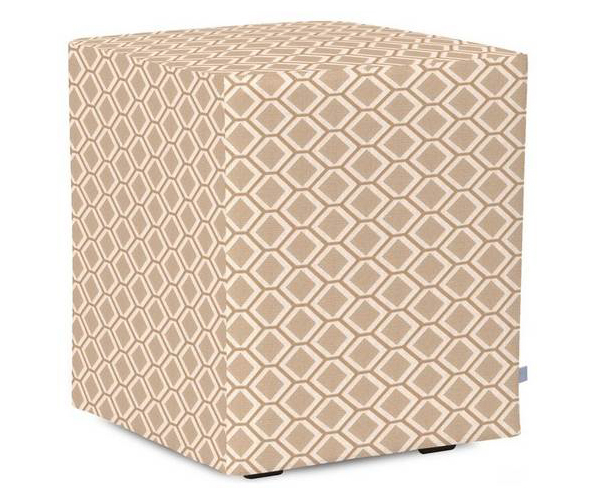 Artisan crafted by hand from recycled materials, this modern cube has posh patterns that can work well as a stool in your bedroom’s vanity area. Tibetan-inspired colors in vivid and bold geometric shapes would be a modern and chic addition to your bedroom. 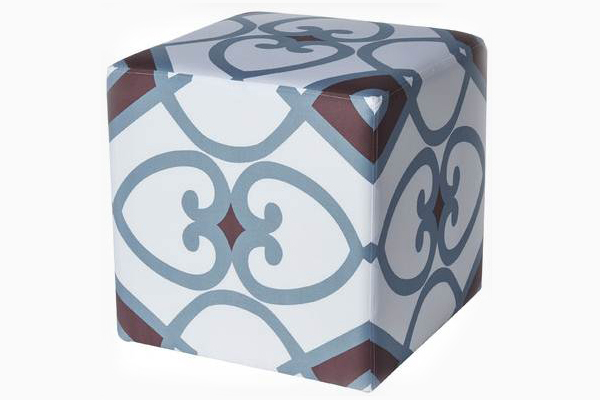 This cube could be perfect for the patio but it will do well for the bedroom too with lovely geometric prints on it. 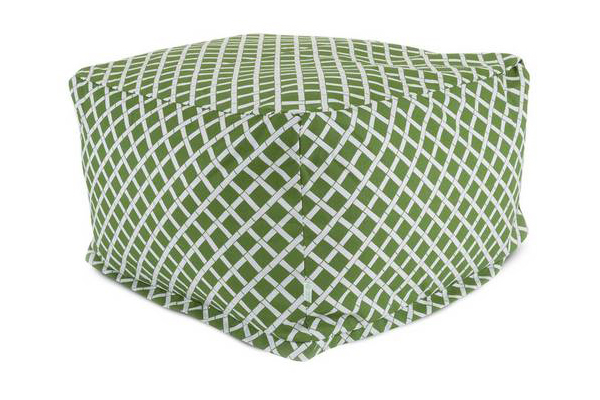 Strong but simple geometrics are printed on this square pouf that is hand woven from 100% cotton. 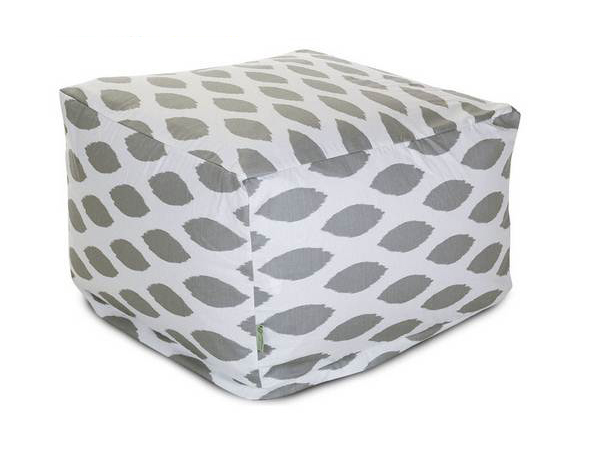 You can choose this ottoman with pea shaped prints on it. It can easily upgrade the look of your bedroom with its style and color. 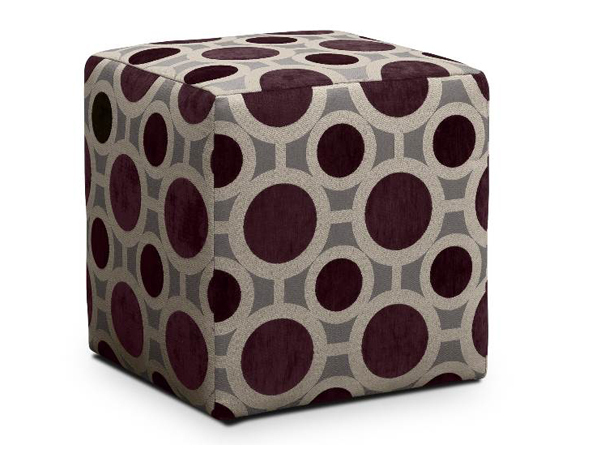 It would be nice to add this ottoman with purple circles into your bedroom. For sure, it would be a total head turner. 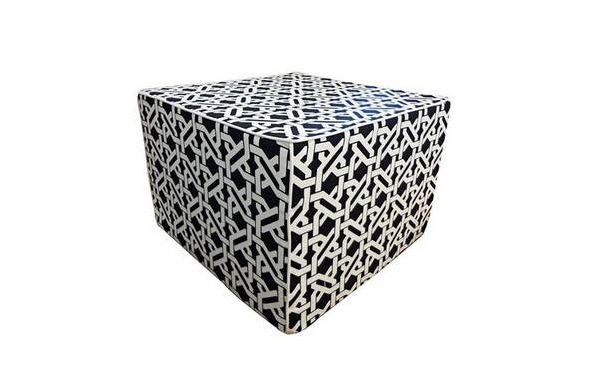 One unique geometric ottoman in black and white that will give an instant sophistication to your bedroom. 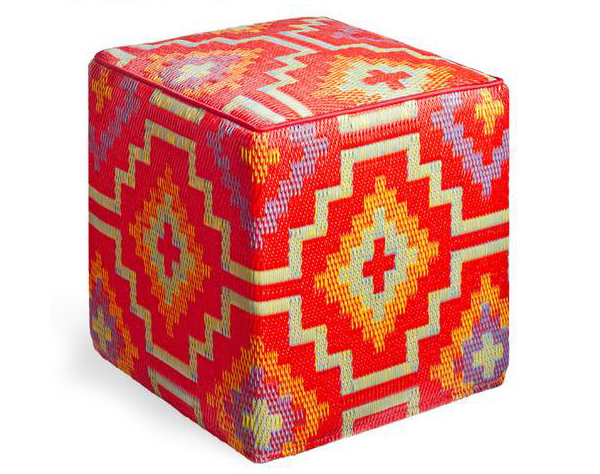 Drive your eyes to the stunning colors of this cube that also doubles as a storage space for your treasures. This piece will be one of the most coveted items in your house in stunning color and geometric print. You could grab hold of the bamboo beauty from this ottoman that has criss-cross bamboos on it. 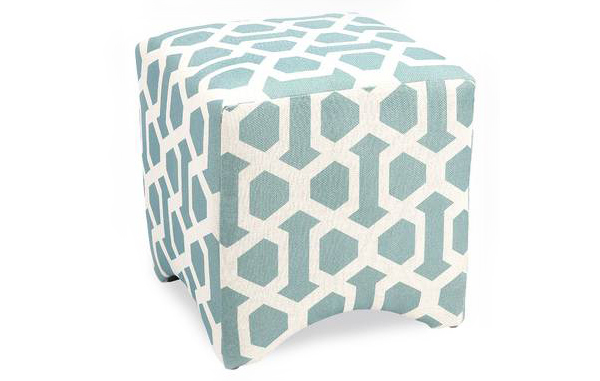 Who will not fall in love with this pastel blue color and geometric style in this ottoman? 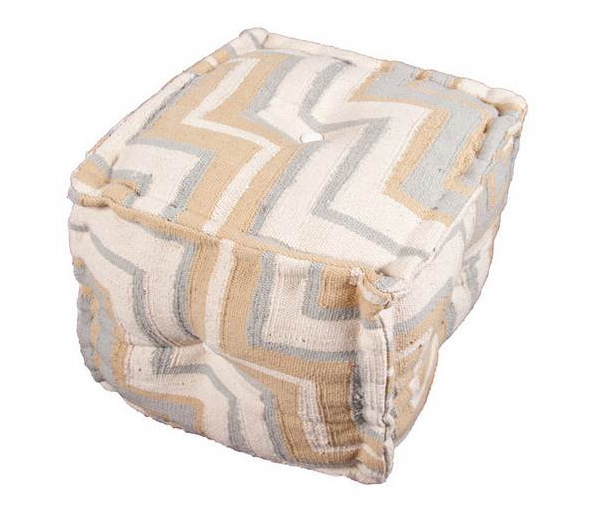 Blue and brown combined looks attractive especially if it is brushed on swirls like this cube ottoman. 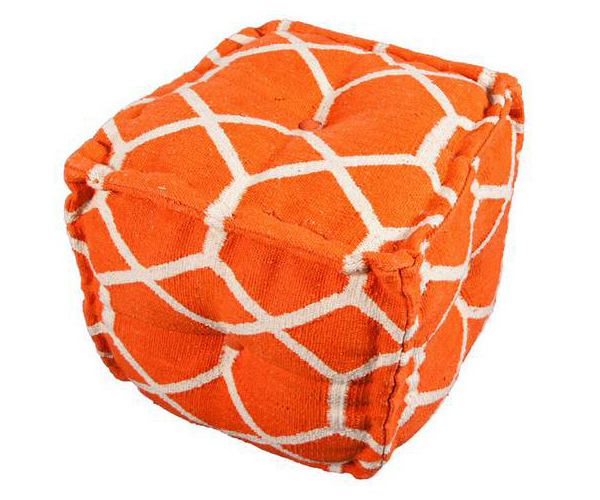 Hand woven square pouf from 100% cotton that looks comfy and totally nice. 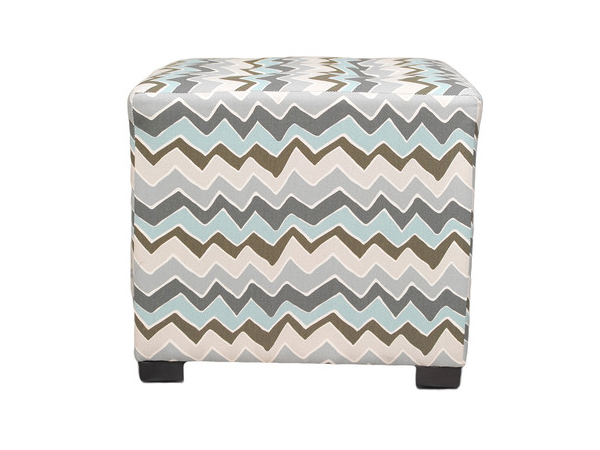 Fun looking ottoman with geometric lines in lovely ocean colors which can be perfect for a beach themed modern bedroom. Ottomans are just lovely! You’ll be pulling it out for an impromptu side table, an extra seat or even as a cushy footrest for the recliner in your very own bedroom lounge. Well, we are certain you loved this list we have for you. Prepare to see more ottoman designs for the bedroom that we will feature here in Bedroomm. For now, you can take a look at upholstered beds that could also be perfect for a modern bedroom.